Partnership will allow patients with primary immunodeficiencies to electronically track their health information and further national research. 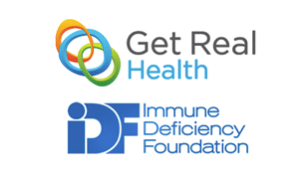 Get Real Health announced today a new partnership with the Immune Deficiency Foundation (IDF) to provide their patient community with a new web and mobile portal that will allow them to electronically track their symptoms, medications and other health-related information—enabling them to better manage their illnesses. It will also allow those patients and families who want to participate in research, to consent to have their data shared with the U.S. Immunodeficiency Network (USIDNET) registry, a program of the National Institutes of Health that contains patient clinical data validated by physicians. With the InstantPHR-powered portal, which will become the IDF ePHR, patients with primary immunodeficiency and their families will be able to track their medications, log their infusions, answer surveys and questionnaires, enter information in their health journals, as well as take advantage of several other functionalities. It will also include a sync to Microsoft HealthVault’s ecosystem of devices, pharmacies and labs, and provider-to-patient emailing and access to additional health records through Blue Button Plus. IDF contracted with Get Real Health after being awarded a grant by the Patient-Centered Outcomes Research Institute (PCORI) to create a Patient Powered Research Network, called PI Connect, to link patient entered data and experiences with clinical information in the USIDNET patient consented registry. The hope is that InstantPHR’s more user-friendly web interface and mobile app will result in the PI community having a more robust ePHR, and at the same time participate in research. “There are more than 200 primary immunodeficiency diseases, and more than 250,000 people in the country diagnosed with them,” said Marcia Boyle, president and founder of IDF. “Because the symptoms of these diseases and their management vary so widely, we are excited about our new ePHR being developed by Get Real Health. The IDF ePHR, based on Get Real Health’s InstantPHR platform will be available at no cost to the primary immunodeficiency community. Rockville, Maryland-based Get Real Health is an award-winning global health information technology pioneer specializing in patient engagement and connected care solutions. Get Real Health’s flagship product — InstantPHR® — is an electronic toolbox for creating and configuring personal health applications. Get Real Health has a diverse global customer base and strategic partnerships with industry leaders including Microsoft, Caradigm, Telstra Health and TELUS Health Solutions. Visit: http://getrealhealth.com/, or watch a two-minute video at http://vimeo.com/86727501 to learn more. The Immune Deficiency Foundation (IDF), founded in 1980, is the national non-profit patient organization dedicated to improving the diagnosis, treatment and quality of life of persons with primary immunodeficiency diseases (PI) through advocacy, education and research. There are approximately 250,000 people who are diagnosed with a PI in the U.S. These individuals often find it difficult to receive specialized healthcare, proper diagnosis and treatment. Individuals affected by PI also experience difficulties financing their healthcare, finding educational materials on the disease and locating others with whom to share their experiences. IDF helps these individuals overcome these difficulties and live a healthy and productive life. The constant presence of IDF assures patients, their families and their medical caretakers that there is a place to turn for help. To learn more about IDF, visit http://www.primaryimmune.org.